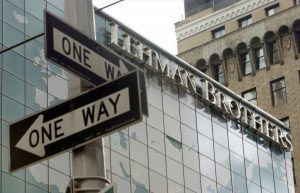 Doom-mongers overestimated how much the U.S. economy would suffer after Lehman's collapse in 2008 or the 9/11 attacks. Gloom about the UK leaving the EU is better judged. As Bank of England Governor Mark Carney acknowledges, policymakers face much tougher challenges this time. The Italian bank named Jean-Pierre Mustier as chief executive, much faster than expected. The potential mess from the UK vote to leave the EU means it is not a good time to be rudderless. Mustier is internationally respected, and unlikely to shirk tough decisions. Boris Johnson’s decision not to run as Tory leader adds to Britain’s political chaos. The next UK prime minister will most likely be EU-exit advocate Michael Gove or reluctant Remainer Theresa May. A Brexit U-turn now looks less likely - but the process could be more cordial. Stocks have rebounded after the referendum, suggesting Britain’s prospects aren’t too grim. Yet falling gilt yields point to bleaker outcomes. In the absence of hard economic data, a post-vote slump in consumer morale supports the pessimistic thesis. It would be silly to push the button on leaving the European Union before Italy’s referendum in October or French and German elections in 2017. By then the UK will have more leverage, and voters a better idea what leaving looks like. Investors could be in for a dull interregnum. The Nordic nation outshone England on the pitch but its EU trade ties are nothing to emulate. It has the single market access that Britain already enjoys, only without any say over the rules. Nor can it dodge the free movement of people or contributions to the bloc’s budget. Ditching EU state aid rules means Britain can in theory set different corporate tax rates around the country. That could ease regional economic disparities - a key flashpoint from the referendum. The catch is such a move would require a cleaner break with the single market. Chancellor George Osborne has since 2010 aimed to cut public debt and deficits in the name of financial stability. He may now need to row back to cope with any post-vote economic slowdown. Investors’ reaction so far suggests his fiscal rigour was over-zealous in the first place. British lenders can weather the storm if Britons vote to leave the EU. Banks will no doubt be hit should the economy slow. But it’s harder for them to go bust than it was in 2008. They have bigger liquidity backstops to cope with any bank run - and so does the Bank of England. The UK is voting on whether to leave the European Union. In many ways, Britain is already a euro-anomaly. No matter which way the public votes, the referendum will leave scars, and usher in big changes that go beyond the EU’s borders – whatever shape those may take. France’s bond yields are rising while Germany’s are falling. It’s a warning markets may doubt the integrity of the euro zone if a UK exit triggers copycat referendums. The ECB has neither the power nor the mandate to fight the kind of extreme outcomes that could ensue.